Actress and beauty queen Ruffa Gutierrez was courageous as she dared herself to visit the crowdy and rowdy Divisoria. 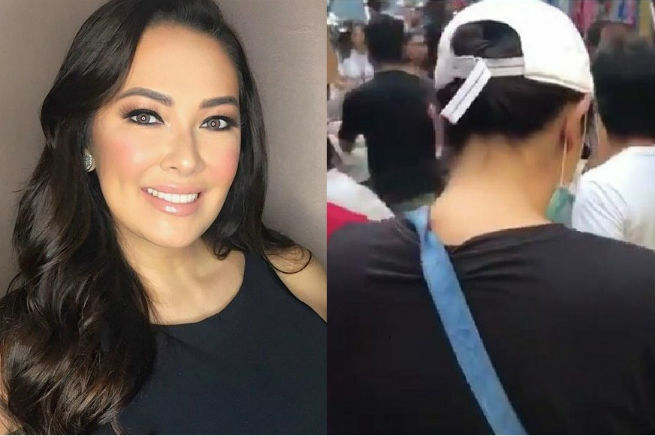 Ruffa shared to fans that she recently visited the famous shopping district, adding that it was her first time in Divisoria. According to Ruffa, she went to the place in disguise so she can blend in with the crowd. The actress looked unnoticeable as was spotted wearing a very casual attire, with a white cap and a face mask while walking alongside the pool of people.